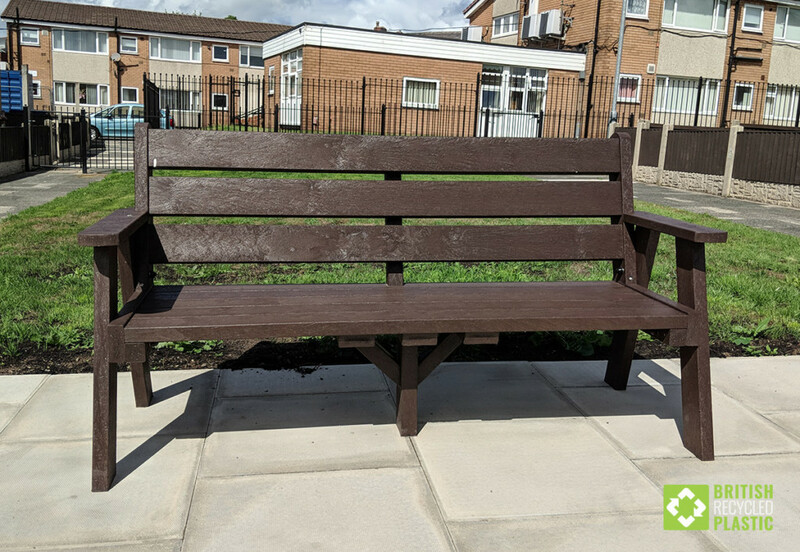 The sloper bench design has been a feature of the British landscape for pretty much as long as there has been public seating. Wedding proposals have been made on them, newspapers have been read on them, Facebook accounts have been updated on them, delayed trains have been waited for on them, and so much more. They as much a part of the fabric of this country as red letterboxes and cups of tea. 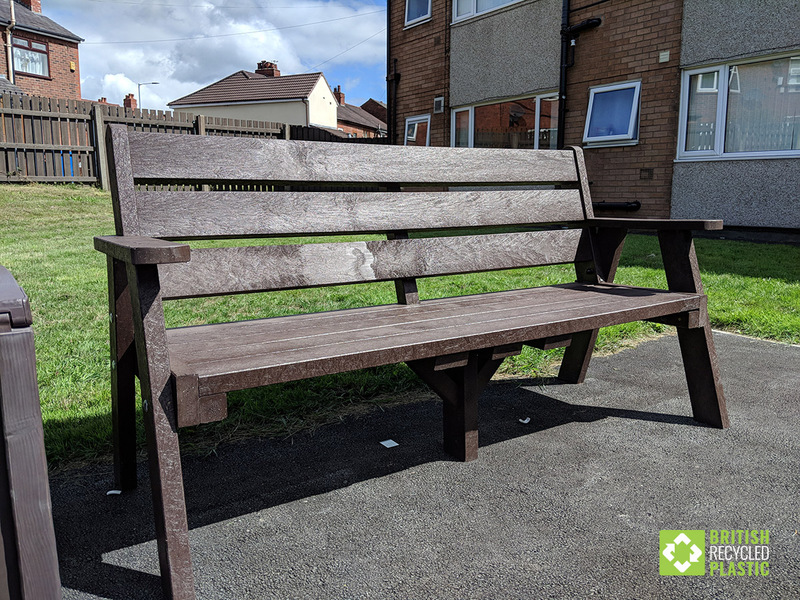 Not surprisingly, when we used the traditional sloper design to introduce the Ilkley bench to our range of maintenance-free recycled plastic outdoor furniture, it quickly became very popular, particularly with local authorities. 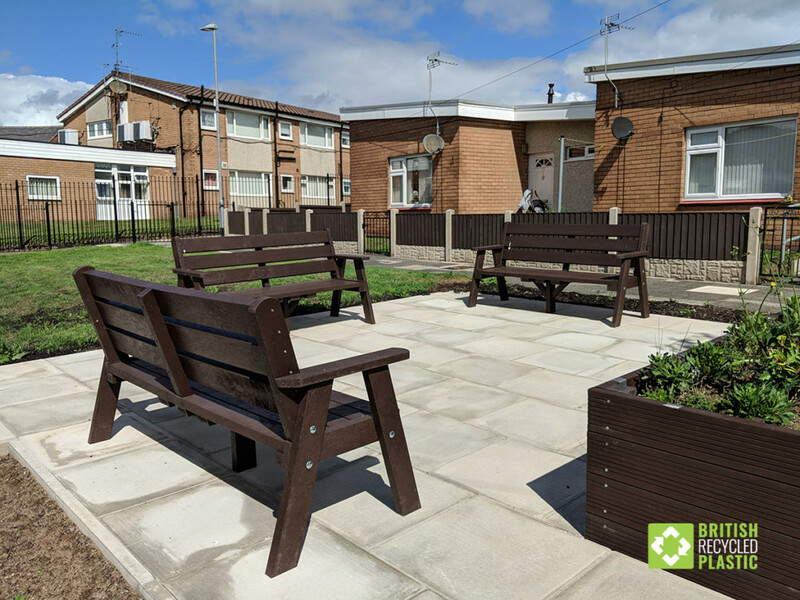 The photos that you see here are from a sheltered housing complex in Wigan, and the benches were supplied together with some custom planters. 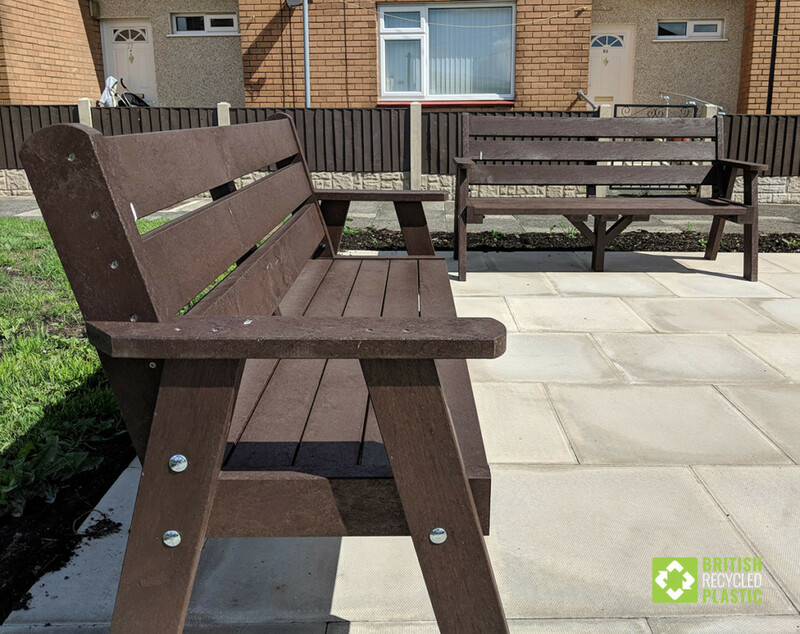 The benches shown are in brown, but both black and bright colours are also available. 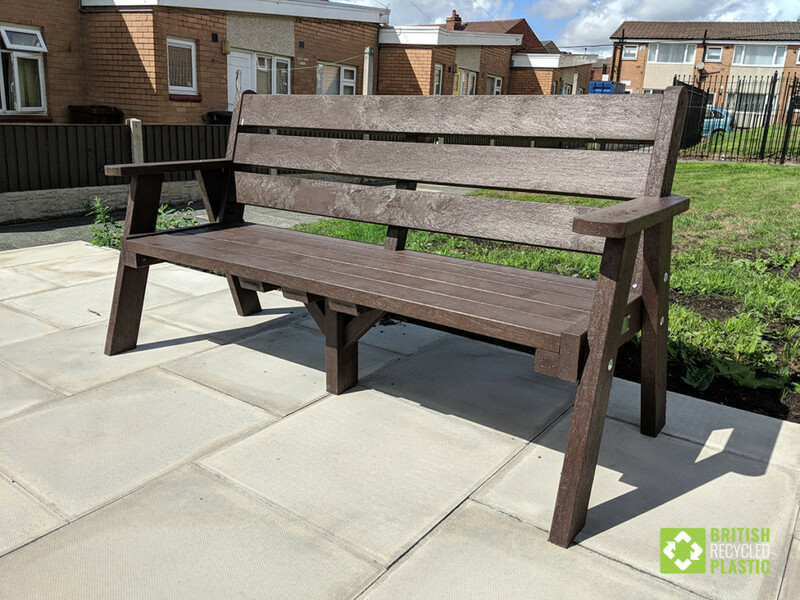 Each “Ilkley” sloper bench is sent out from the factory fully fabricated for the convenience of a speedy installation. They are not available in flat-packed form at this time.